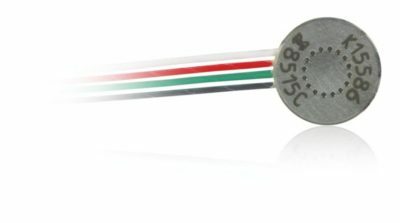 Model 8530B is a miniature, high sensitivity piezoresistive pressure transducer for measuring absolute pressure. The volume behind the diaphragm is evacuated and glass sealed to provide an absolute pressure reference. Full scale output is 300 mV with high overload capability and high frequency response. It is available in ranges from 200 psia to 1000 psia. See model 8530C for lower pressure ranges. Endevco brand pressure transducers feature an active four arm strain gage bridge diffused into a sculptured silicon diaphragm for maximum sensitivity and wideband frequency response. Self-contained hybrid temperature compensation provides stable performance over the temperature range of 0°F to 200°F (-18°C to +93°C). Endevco brand transducers also feature excellent linearity and provide stable performance over the temperature range of -65°F to +250°F (-54°C to +121°C). 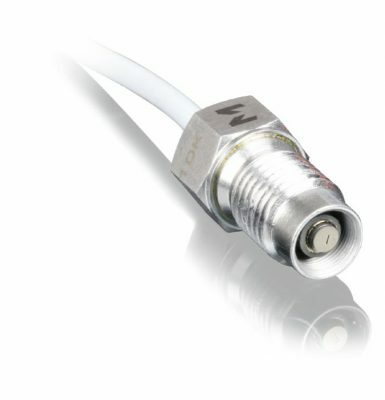 Meggitt’s Endevco brand transducers also feature excellent linearity (even to 3X range), high shock resistance, and high stability during temperature transients.